There are a few explanations for the meaning of the Saxmundham name, some believe that it refers to the home of a warrior lord called Seismund or Seizmond. In his book ‘The Place-Names of Suffolk’ (pub. 1913), the Rev. Walter William Skeat provides his interpretations for local place names. Built for the Long family by Samuel Wyatt. A single story church school built by the Long family. Later converted to two stories and eventually into private houses. Cast by Garretts of Leiston and given to the town by the Long family. The home of Colonel W.B. Long and family completely destroyed by fire. Reported by the Framlingham Weekly News, May 3rd. New school opened on 29th October, eventually to become the Primary School before finally closing in 1993(?). 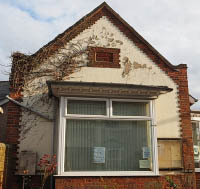 It was offered the Saxmundham Urban Council who declined to buy it. Captain Atkinson converted a building in Church Street to form The Playhouse cinema. GPO telephone exchange built on the site of the former Coach & Horses pub. The cinema closed and the building became a showroom for a car dealership. The branch line to Aldeburgh closed. Roman lamp in red ware was found at a depth of 3 feet, 20 feet behind Ashfords (Currently Flicks). This artefact is believed to have been given to Southwold Museum. The first public visitors join with the committee and special guest Peter Purves on the opening night at the Museum. Free School opens on the site of the old Middle School. The Gannon (Institute) Rooms were used as a Voluntary Aid Detachment (V.A.D.) hospital during World War One. Aline Auldous - Speaking during an Oral History interview. Some of the staff and volunteers who served at the VAD hospital are listed on the British Red Cross website: Miss Ethel Clara Cook, Dorothy Phyllis, Mrs. Augusta Catherine Cutting, Miss Bertha Cutting, Miss Aimee Frances Elias, Mrs. Elizabeth Frances Elias, Mrs Emma Newson Ellis, Mrs Edith Forsdike, Mrs. Ethel May Geater, Mrs. Kate Mary Gray, Mrs Amelia Kenworthy - Brown, Miss Alice Lacy, Miss Winifred Violet Levett-Serivenes, Miss Ethel May Linder, Miss Eliza Llewellyn, Dr John Charles Ryder Richardson, Miss Dorothy Scrimgeour. Margery Beddingﬁeld,(1742—1763), murderer of her husband John, was one the last woman in England to be sentenced to be burnt. Where was the Bottle and Glass? The Bottle & Glass is mentioned on an 1837 map of the area. Overlaying the old map onto a modern one appears to show the Bottle & Glass alongside the stream that is a tributary to the Fromus. Leaving Saxmundham via Harper's Lane (locally referred to by some as the 'old coach road to Rendham'), through Henley Close and across Felsham Rise. Follow the path alongside the stream and continue just west of what is now the Saxmundham Primary School's site. A few locals remember seeing the remains of the building many years ago. 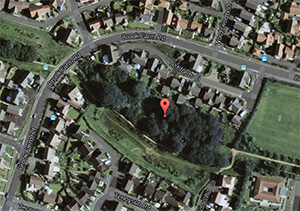 Some refer to it as being at the bottom or back of Saxon Road which is roughly the same area as shown on the map. Click on the image to open a report with photographs. 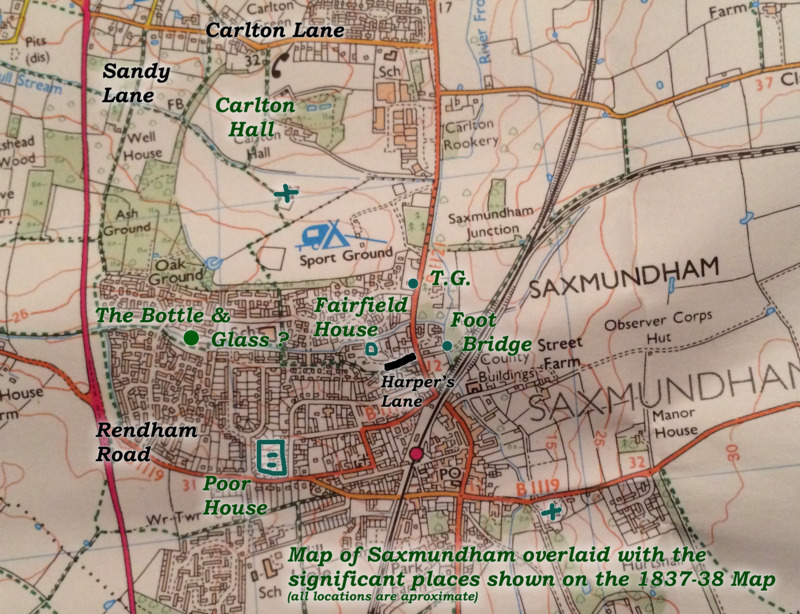 "Offical Guide to Saxmundham" by J.S.Waddell c1940. 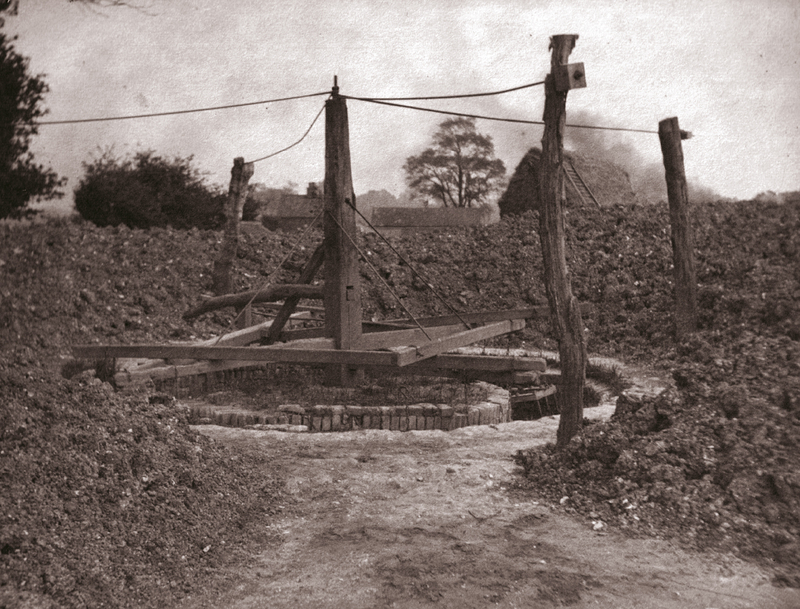 Benhall Brick works as pictured in a photo album from around 1920. What is or were the 'layers'? A possible explaination : An area of land to the south of Saxmundham where stockmen would 'lay up' their stock prior to the bi-weekly livestock sale. 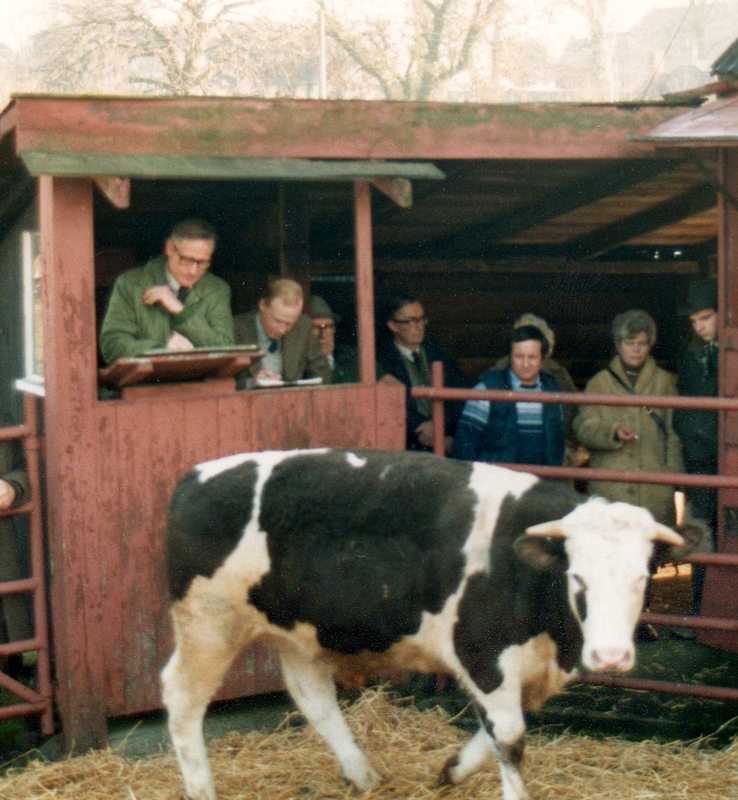 The land was used for events when the Suffolk Show was held in Saxmundham. The Layers was also a popular camping ground for the 6th Suffolk Cyclists during the Great War as mentioned in the "Offical Guide to Saxmundham" by J.S.Waddell c1940.